Infernal War: Axiom – full album streaming! Posłuchaj pełnego albumu Infernal War! // Stream whole Infernal War album! Polish black/death metal extremists Infernal War have completed their first full-length album in eight years. „Axiom” unleashes a new wave of uncompromising music, performed furiously fast and crushingly precise. Excellent musicianship and incredible playing skills allow the band to shine through their craft, rather than produce generic end results. 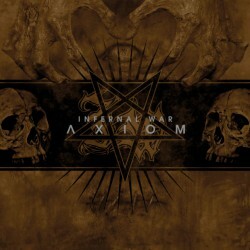 Band commented: „Axiom is the essence of Infernal War. At the same time, it’s not a copy of our previous works. 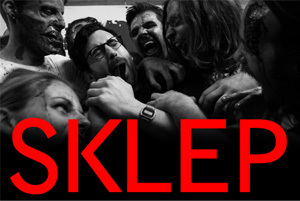 The new material is more mature, diversified and bloody uncompromising. It’s very grim, both musically and lyrically. We have no doubt, that Axiom is our crowning achievement”. „Axiom” was recorded, mixed and mastered in No Solace Studio with M. (Mgła/Kriegsmaschine), who also guest appears on the album on vocals. The album cover was created by Mentalporn.